and decided to see what happened when I used them almost full strength. 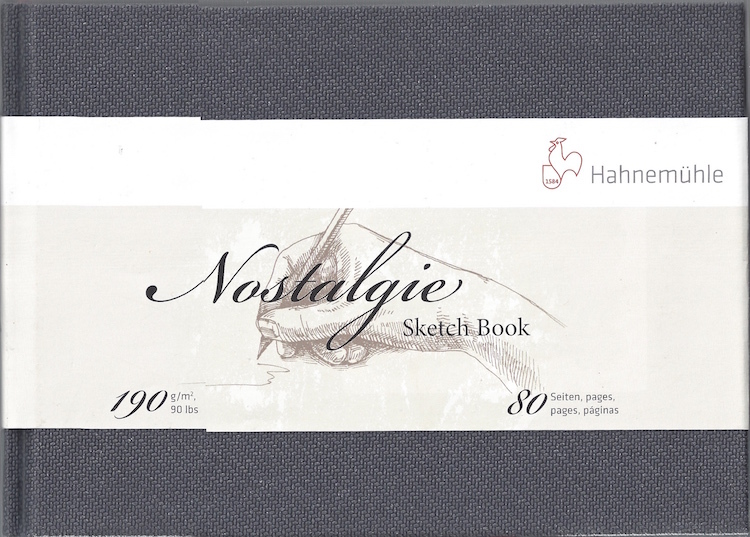 Just how many layers of color can a Hahnemuhle Nostalgie Sketchbook take? A LOT A LOT A LOT and not bleed. this lovely journal takes a lot of water thrown at it for a lighter-weight paper. the extra pages in this journal make it a a good price for such a formal looking journal. 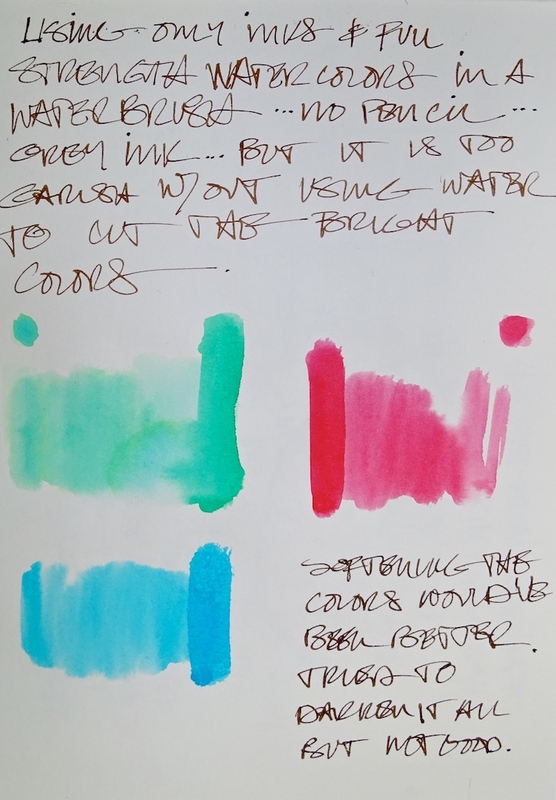 the watercolor journals — so I can dispense with a fat clip! I will be buying more, from WetPaint! I will post the whole journal in the next couple days. 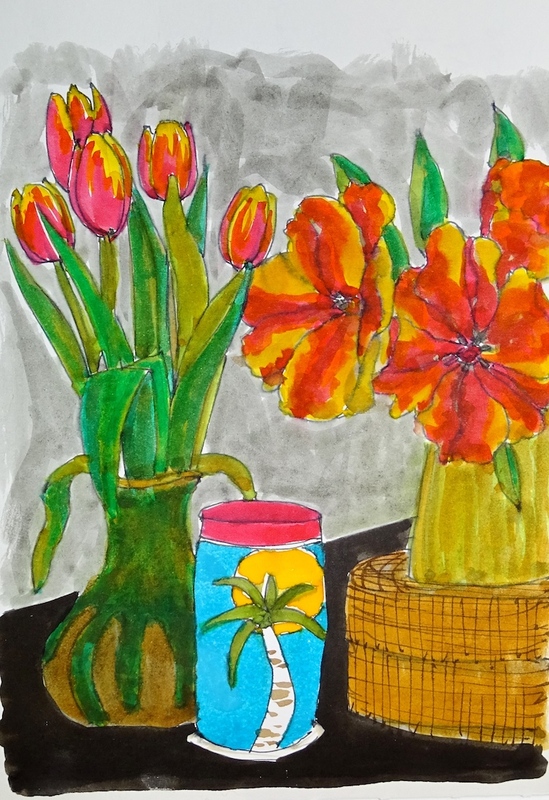 liquid watercolors and inks in a waterbrush. This entry was posted in art journal, creativity, drawing, ink painting, painting, pen & ink, process, sketchbook, virtual sketching, watercolor and tagged #365sketch2017, art journal, De Atramentis Document ink, Hahnemühle sketchbook review, Hahnemuhle Nostalgie Sketchbook, Nostalgie Sketch Book Journal, Pilot Metropolitan Fountain Pen, tulips, watercolor. Bookmark the permalink.